I am a big fan of historical fiction and that I love Dan Brown's books should come as no surprise. I read all the previous books of Dan Brown before starting from Angels and Demons to the Lost Symbol and loved them all. The idea of conspiracy theories coupled with historical accuracy keep me hooked to them. 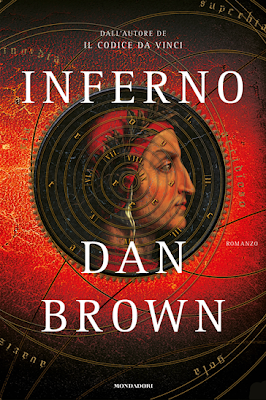 Inferno launched in India this year and I had been waiting for it. Unfortunately I am deep in whatever. So could not get the time even to think about going ahead and buying it. Now the things seems to be improving on the personal and official front so perhaps I will just book the order for the book and have it ordered to me in the office itself. Saves me all the hassle of going to the bookstore and all - you know normal 'buy online' tendency. Perhaps there is some laziness to it as well, but I won't accept that here anyway. Inferno does promise to be a great book. Also that Dan never let me down in the past is a plus point. So here's hoping that this books also captures my imagination as well as their predecessors. Checking the comments and the reviews, I can safely come to the conclusion that the book is not going to disappoint me in the least bit. Wish me luck. In case you have not read any of his books I suggest you start with Angels and Demons - its fast and captivating. Trust me, you will not regret it.